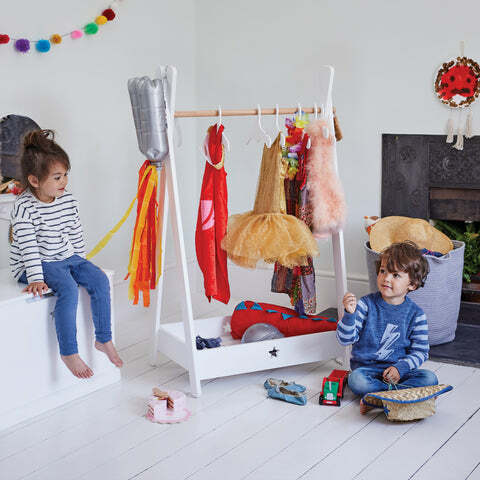 Star Bright Dressing Up Rail | Great Little Trading Co.
Say goodbye to rummaging in boxes - this is a much easier way to store children's dressing up clothes! We've added a natural wood rail to give it a contemporary touch. 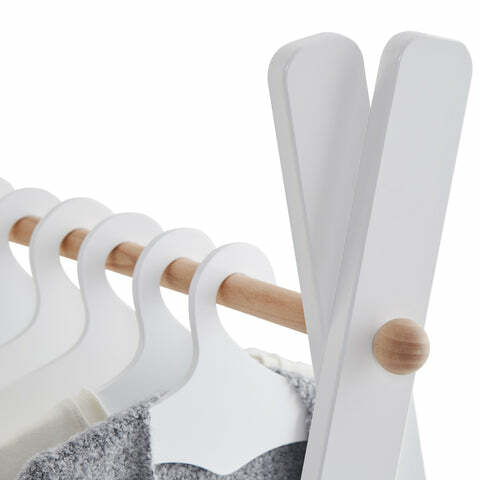 We love that this dressing up rail is so sturdy and solid. 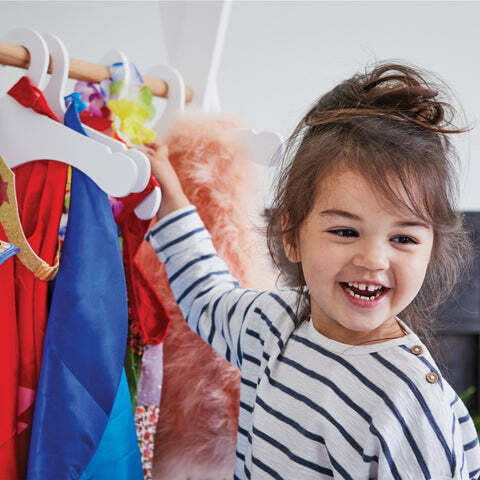 It has a useful storage tray for shoes, and comes with six white hangers; you can add an Extra Set of hangers if needs be. For a coordinated look team it up with our Loxley Toy Storage, our Sherwood Bedroom Furniture or our Rope Storage Baskets.